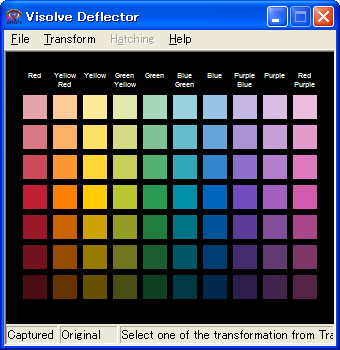 Visolve enables better discrimination of colours by using filters to make colours lighter, darker, or increasing the saturation. It also has the capability of giving colours a different hatch pattern. Click here to download Visolve for free. 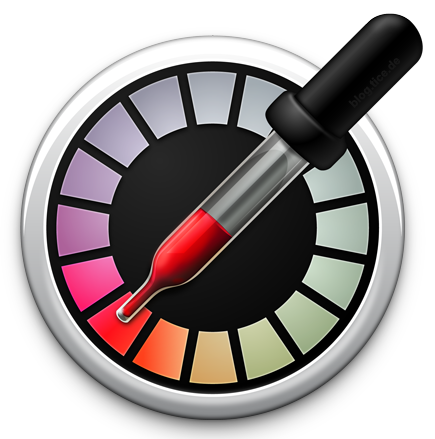 DigitalColor Meter provides colour information where the mouse is pointed. The hexadecimal and RGB (red, green, blue) values are displayed next to the colour. The application can also zoom in for closer colour identification. This is a free application, built into the Macintosh Operating System. It can be found by opening the Finder and then going to the Applications folder and then the Utilities folder. Colourblind Assistant provides colour information where the mouse is pointed. The hexadecimal and RGB (red, green, blue) values are displayed under the name of the colour. The application can also zoom in for closer colour identification. Click here to download Colourblind Assistant for free from the CNET website. Colourblind Avenger identifies the name of a colour and provides hexadecimal and RGB (red, green, blue) values. It can be downloaded by clicking on this link, or by searching in the App Store.